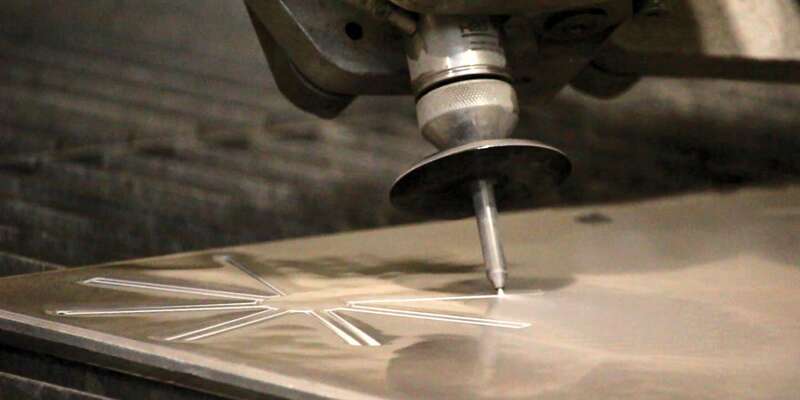 The waterjet cutting process offers manufacturers flexibility that no other cutting process can offer. 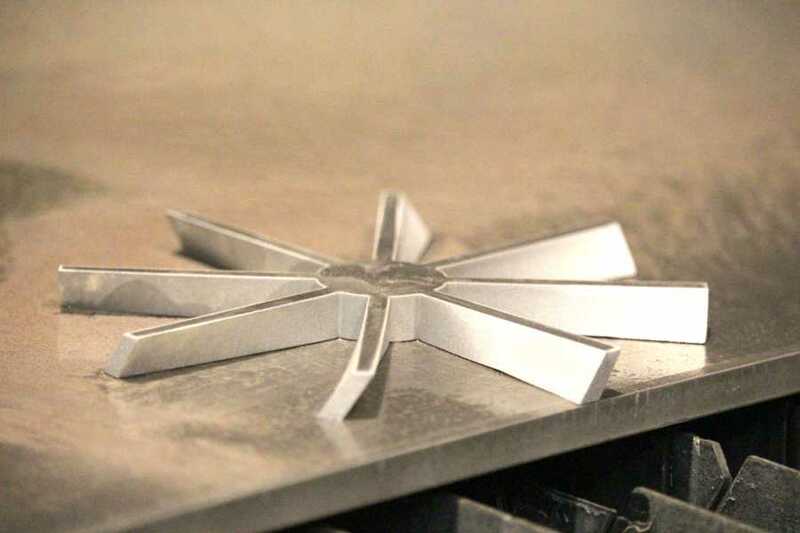 A waterjet cutting has a range of applications and can cut irregular shapes from almost any material with exceptional precision and edge quality. Curves, straight cuts, internal holes and lettering once cut by hand can now be cut in a fraction of the time by waterjet. 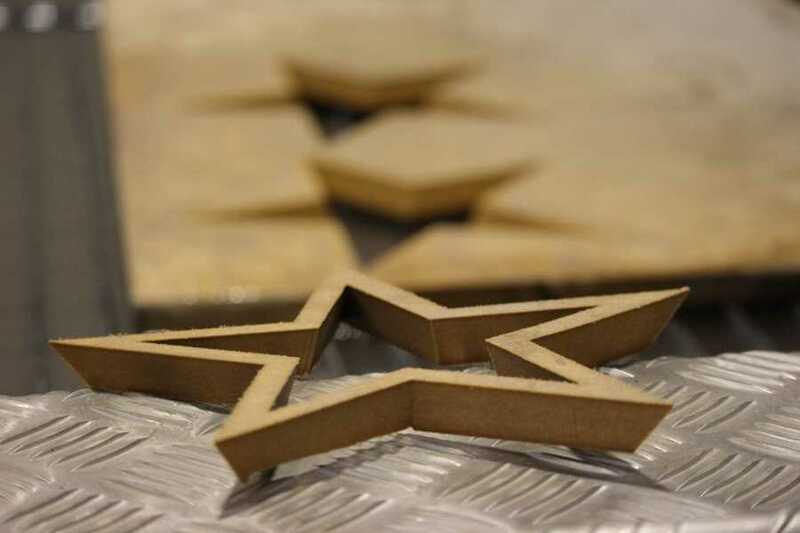 Edge quality is one of the most important significant reasons why designers specify waterjet. 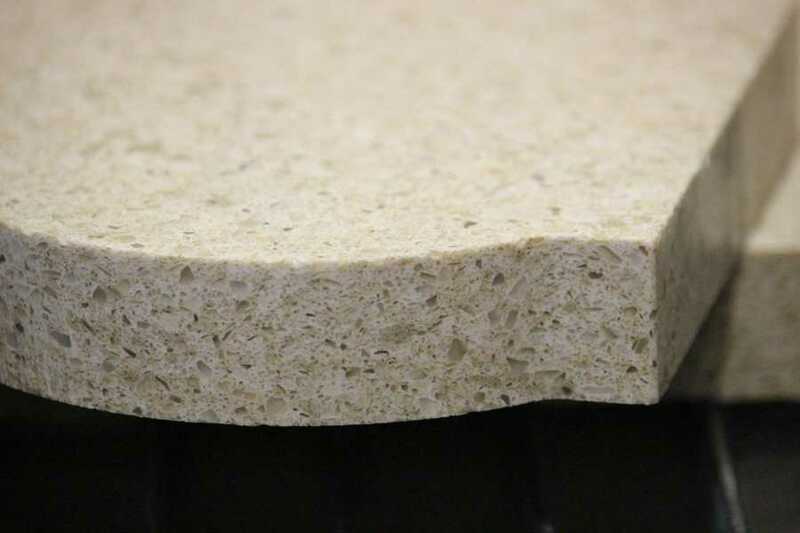 Waterjet produces a smooth uniform burr-free edge. The edge quality produced by waterjet is a function of speed, pressure, nozzle size and abrasive flow rate. 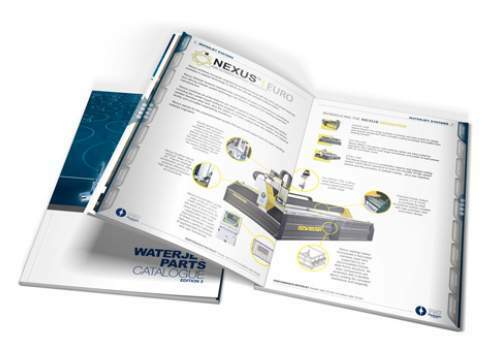 In many cases waterjet eliminates the need for secondary finishing, thus creating significant time savings and improving efficiency in your workshop. Like all equipment, there is an ultimate tool for every application. 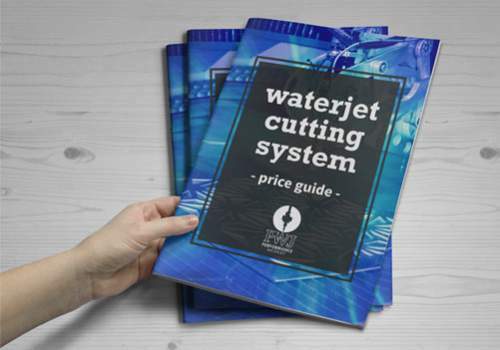 Waterjet excels with cutting very thick products, including aluminium, multi-layer materials, composites, hardened steels over 25mm thick, and products which must be cut with no distortion or heat affected zones. 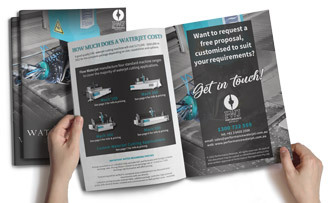 If you are looking for a process which can deliver exceptional edge quality requiring little or no additional edge treatment, and the flexibility to cut almost any type and thickness of product, then waterjet is your best option. 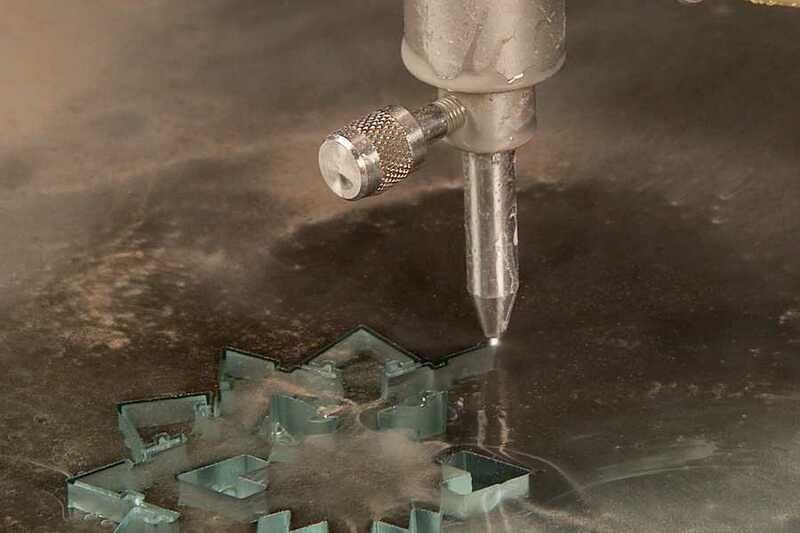 With cutting accuracy of ±0.1 to ±0.2mm (accuracy varies between machines), waterjet is an extremely versatile cutting tool which is why it is used globally in many industries for intricate designs and jobs which require high tolerances. 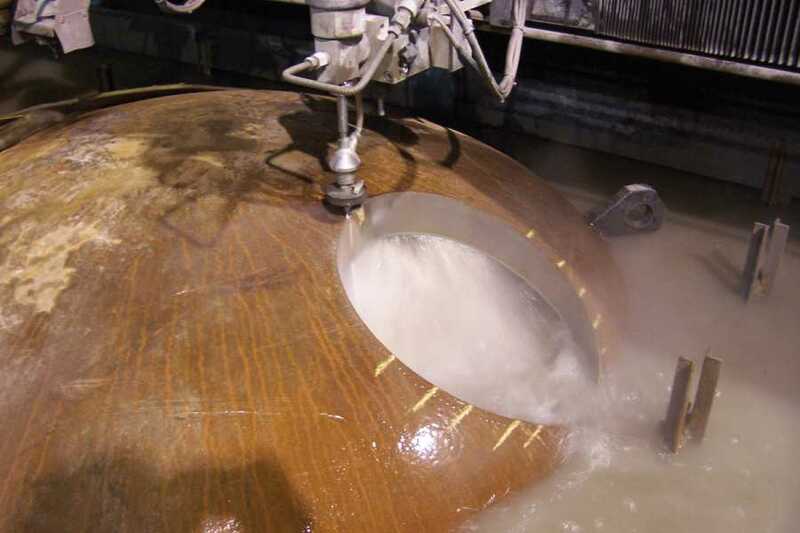 High pressure water mixed with abrasive creates a needle-sharp cutting stream which can cut almost any shape and thickness. 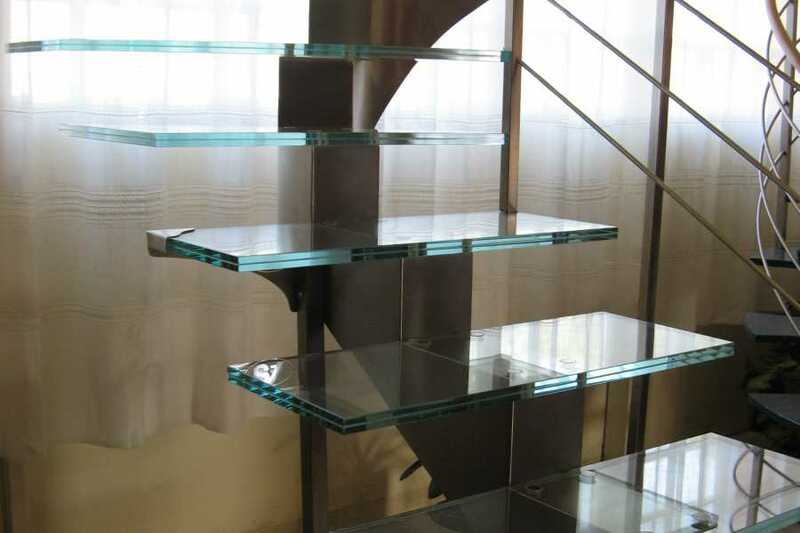 This includes bonded laminated materials such as aluminium composite panel and rubber-lined wear plates. 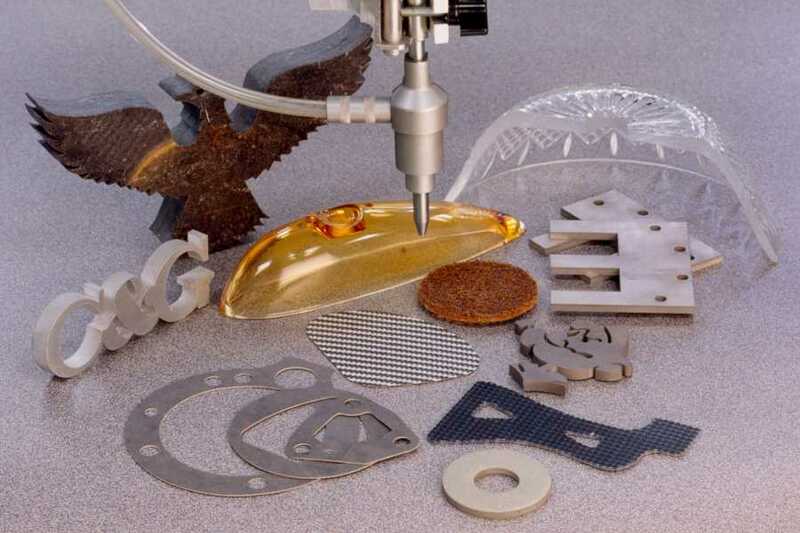 Waterjet is a cold cutting process which eliminates problems caused by heat distortion and hardened edges. This is particularly advantageous for intricate metal fabrication and products which require additional machining after cutting. 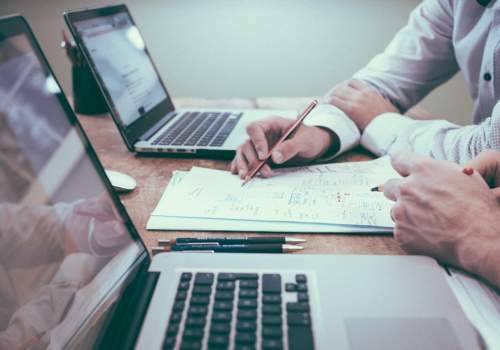 For steel fabricators who specialise in intricate fabrication which requires accurate fitting, distortion caused by hot cutting is a significant problem. Any cutting process which generates heat has the secondary effect of changing the molecular structure of the steel in the affected zone. This can be particularly detrimental to the performance of steels used in specialised applications (e.g. Bisalloy and armour plate). Improve your operating efficiency and profitability by cutting all your materials on one machine. Waterjet uses the same tool for cutting all types of product - no need to change cutting tools when switching to another product. Simply adjust the feed rate to the appropriate speed to match the type and thickness of material.